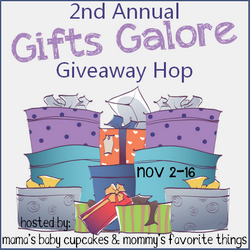 Welcome to the "Gift Galore" Giveaway Hop hosted by Heather from Mommy's Favorite Things and Michelle from Mama's Baby Cupcakes. This hop has a Christmas theme, which means anything family friendly is up for grabs that you'd give as a gift! Each blog has a minimum prize package of $25 per winner and after visiting my giveaway, make sure you use the linky below to take a look at the other blogs to see what they have to offer for you! Be sure to check out Mama's Baby Cupcakes Grand Prize post to enter to win $500 worth of prizes for every member of the family! Here on Mommy's Favorite Things we have Berkshire Blanket Cuddly Buddies blanket of $35! Everybody needs their own snuggly, soft, comfortable blanket or throw! I know we have multiple blankets in our trunk chest, but it's nice for kids to have their own. I stumbled upon Berkshire Blanket and fell in love with their Cuddly Buddies for kids! Hand pocket on the inside of the blanket to keep everything nice and warm! The fleece is incredibly soft it's unbelievable. I wish I had one of these for myself! So soft and cuddly. This would make the perfect Holiday or Birthday gift. 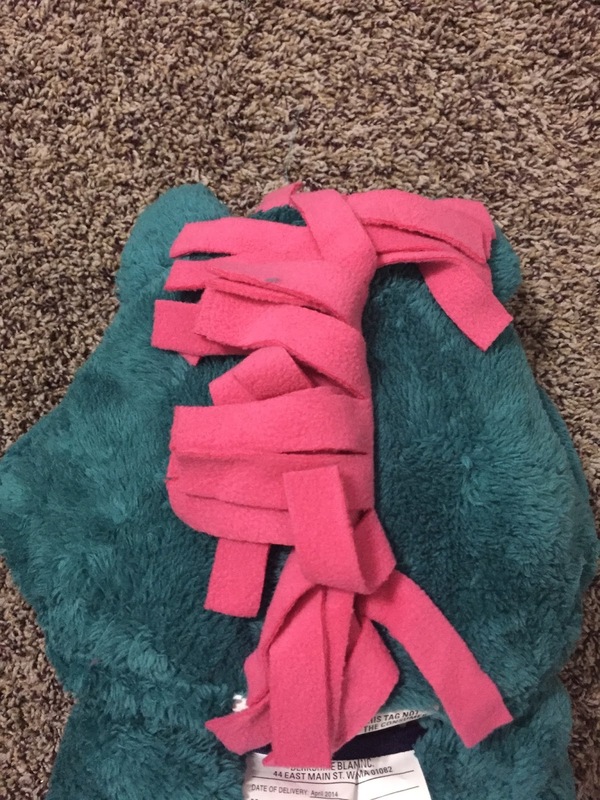 It's inexpensive and everyone benefits from having their own blanket! Constructed very well. Measures 40"x50" so plenty big for children of all ages. LOVE that it's machine washable and tumble dry low, but with this material it's easy enough to hang to dry! Will be ready to snuggle in no time. Price: Each blanket is around $35. Very reasonable and the perfect Holiday or Birthday gift. 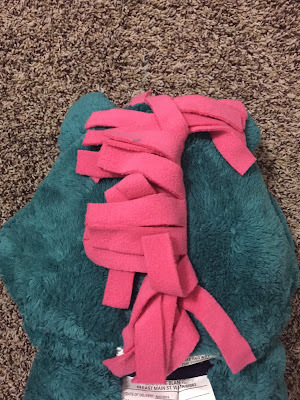 Overall: ***** The blanket is very highly made and constructed. I would choose Chloe Kitty Cat! I'd want the Michael Monkey! I really like jesse the giraffe. I would probably choose Cuddly Buddies® Throw - Cassidy Koala. I think I'd choose Michael Monkey, although I might show them to my 2 year old daughter and let her pick one. They're so cute! I might choose the "Year of the Dragon" one! We'd choose Madison Monster!! So fun!! It's too hard to pick just one! I think dd would love either the Ice Princess, Love Unicorn or Fairy Princess blankets! My daughter would LOVE Chloe Kitty Cat! Have to have Michael monkey. My daughter would probably go for the kitty but the bunny one is so adorable ! I think my grandson would love the year of the dragon cuddly buddies. I really like the dragon one. My nephew would love it! My son would just love love the Stealthy Ninja throw. So cute. I would love to get Chloe kitty cat for my daughter! She loves cats and the color pink so it's perfect! I love the Toddler version of Liam Labrador Puppy for my little guy! Thanks for the chance. I would choose the Cuddly Buddies Throw – Love Unicorn. My daughter would love this! I would choose the Love Unicorn Cuddly Buddies Throw because my daughter is very much into Unicorns. I think the Year Of The Dragon Cuddly Buddies Throw is cool. I would choose the Year of the Dragon. These are so stinking cute! I think I would choose Year of the Horse! I think I would choose "The Year of the Dragon". It is so cute and my son would love it!!! I would choose the fiona fox throw!! They are just too adorable! My son would love to snuggle up in one of these!! I would choose the Fiona Fox Throw. I can't believe the variety they have; more than I would have thought. I'd get the toddler-sized Bailey Bear for my nephew! I think I would choose the fiona fox, super cute! I would choose Year of the Dragon. 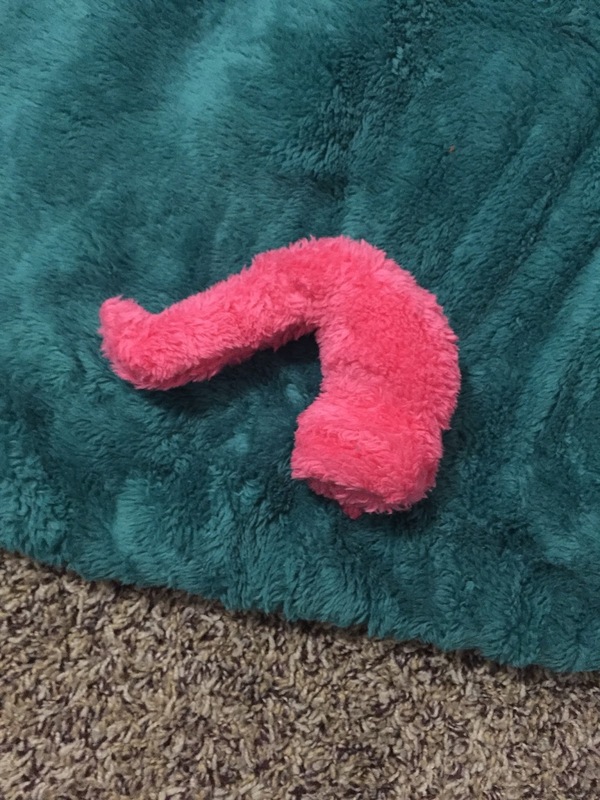 Oh I really love the Cuddly Buddies® Throw - Fiona Fox! I'd either choose the Love Unicorn or Chloe Kitty Cat for my daughter. If I won I would choose the dragon. These are very cute. I would pick either the monkey or the dragon! My great granddaughter would love Parker Puppy. She is really into puppies!!!! I like the Cuddle Buddies Throw Michael Monkey for my grandson. He has a jungle theme to his bedroom and monkeys are part of it along with alligators on the green rug. I would choose the Stealth Ninja for my son. I would choose the Stealth Ninja for my son. He pretends he's a ninja everyday so I know he would love this. The Cuddly Buddies Throws are all really cute, but my favorite is the Chloe Kitty Cat. My favorite is the Lulu Ladybug. My daughters favorite is actually the love unicorn that you reviewed. I love that there are so many to choose from. I'd choose the Cuddly Buddies® Throw – Chloe Kitty Cat. Thanks. I like the Cuddly Buddies® Throw - Michael Monkey. I would choose the ice princess. I like the Cuddly Buddies® Throw - Stealth Ninja. I would choose the Unicorn!! I would choose Jessie Giraffe. My daughter would love the Fairy Princess one!